I haven’t had the chance to do an Amazon favorites post in quite some time. I love seeing what everyone is ordering, because sometimes I feel so overwhelmed when I go there to look for something. I get trapped in a sunglasses black hole or twenty clicks later and I forget why I even went there in the first place! What have you ordered recently? 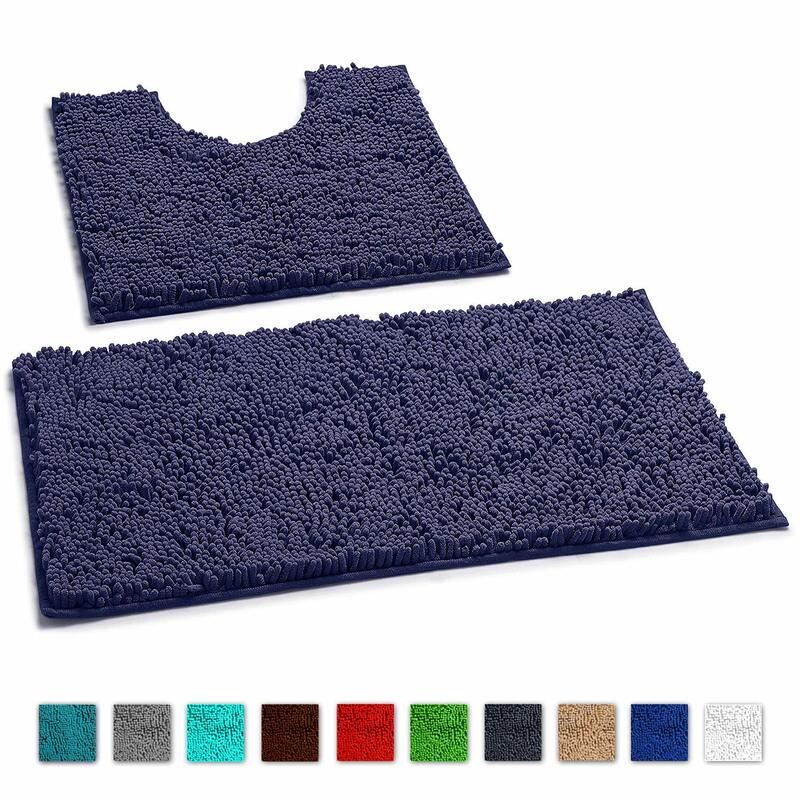 Bathmat Set – Chris ordered these replacements after we had a horrible flood in our basement bathroom. (Ugh, septic systems!!!) They are surprisingly really high quality for the price!! Really thick and soft. The Amazon picture doesn’t really do them justice. 100 Days to Brave -When I lost my job last year, I had so much self doubt and zero confidence. I kept telling myself all these lies that I am worthless and no one wants me. But then I had this inner peace about it all, and started rocking interview after interview. Where did that peace come from?My faith. God let me know he had something better in store for me and that everything was going to be just fine. I realized I had a void in my life for quite some time where that faith used to be, I never want to lose that again. I have never really done a devotional before. After everything I have been through in the last year, I thought this would be the perfect place to start. So far, it is amazing. 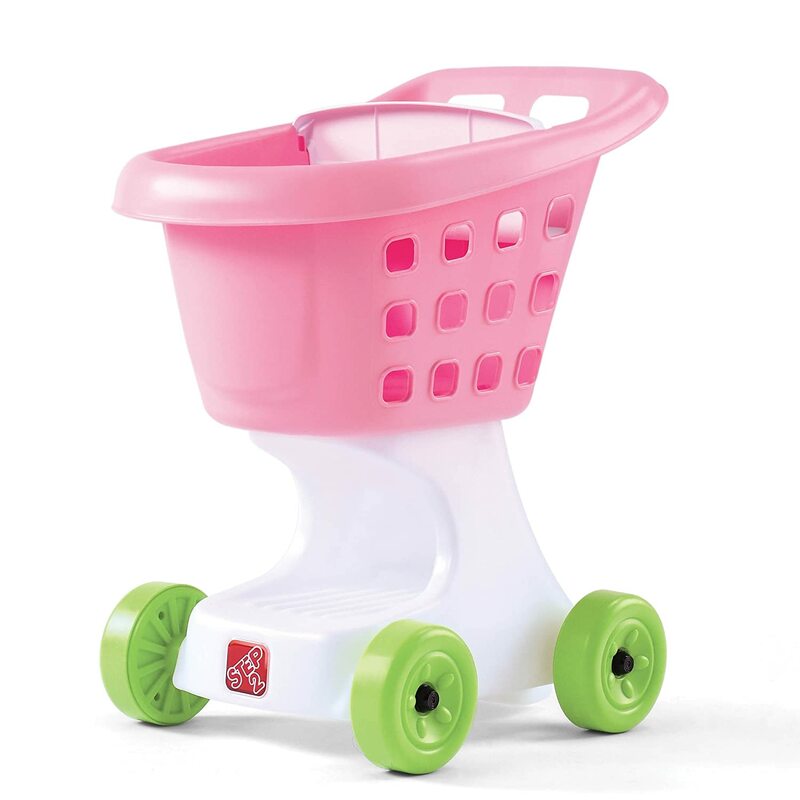 Toddler Shopping Cart – Zoe LOVES this toy and it has been a huge hit!!! It has a seat for her baby doll or stuffed animal in the front and holds a surprising amount of stuff. Chris jokes and says that she looks like a homeless person with the amount of stuff she can store in there. Munchkin Falls Bath Toy – I am still on that quest to find the perfect bath toys that don’t get gross after a few weeks. These cups are so much fun! 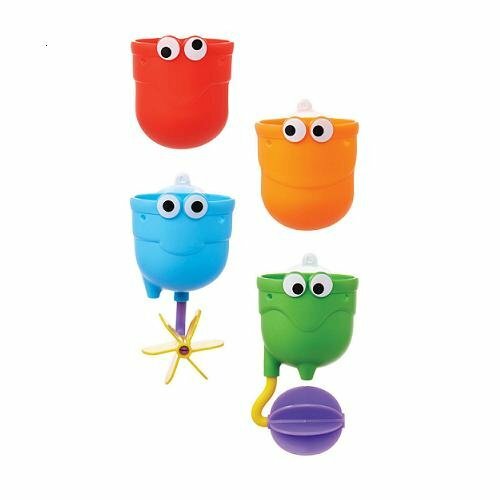 Three of them have holes in them to turn into a water spout or make the little things spin underneath, and one is a cup for putting water in the other three. You can move them around and create different ways they all work together and it has provided plenty of entertainment for Zoe. No mold or grossness and we have had them for awhile! 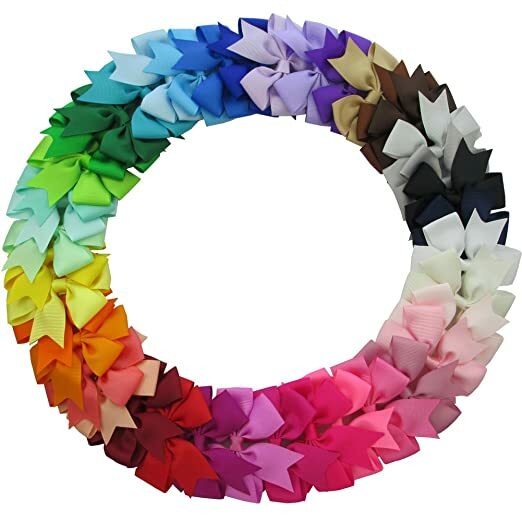 Hair Bows – Ummmmm 40 bows for $10.99. Do I need to go on??? Every color you could possibly want. The only problem? The 10 minutes it takes Zoe to decide which one she wants to wear every day. These things stay in all day long and we love them! 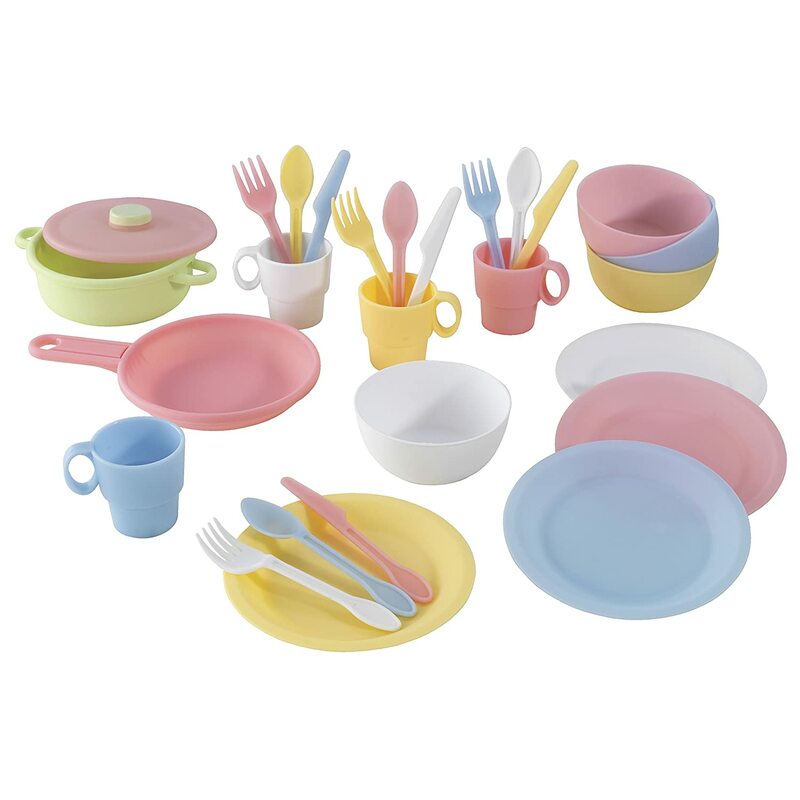 KidKraft Play Dishes – We got Zoe this kitchen for Christmas, so we got these dishes to go along with it. They are pretty colors and good quality! She has so much fun with these! Tomy Eggs – Zoe loves these way more than I thought she would! You can match the egg lids to the right color, and the bottoms each have their own shape to match with the shape of its place in the container. 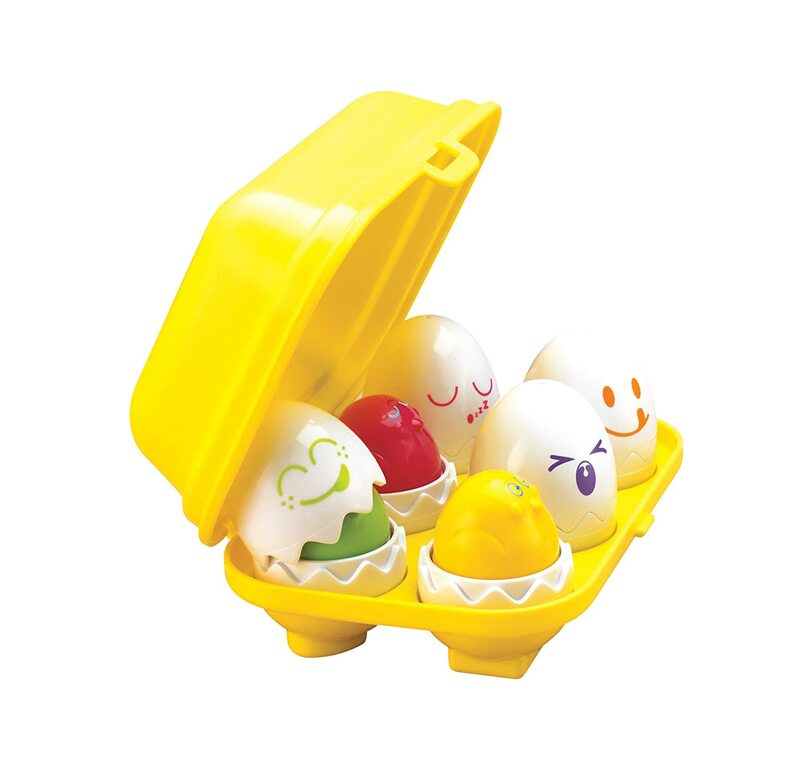 Plus, you can push down on the eggs and the sort of make a chirping sound. Hours of entertainment and learning! Soni Cutting Food – We also got this to go with the kitchen. Each piece of food has velcro holding it together so you can cut them in halves and match them back up. Really great hand/eye coordination skills. Again, hours of entertainment! It comes in a nice little bag that Zoe has deemed her “diaper bag” for her baby stuff. I want to come play grocery store with Zoe! She has the cutest toys, that shopping cart is so stinking cute! It’s so fun seeing what others get on Amazon. I love it so much, I’ve had three Amazon shipments arrive this week, LOL! Have a great day beautiful! Great minds with the Amazon posts today! Lol! I love those food cutting toys for kids. My younger cousins and now my niece and nephew have those and they are AWESOME. There’s jut something about slicing through that velcro that my adult brains likes. Hahaha. I just ordered a devotional book on Amazon and saw the one you got- so glad it helped you! I have a similar bath mat set in brown. SO SOFT! Love those. I used to love playing grocery store as a kid, all of those toys for it are so cute! OK – did the bows come in a wreath like that – because that alone is adorable!!!!! 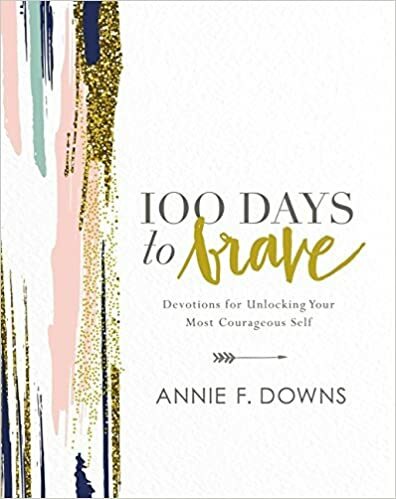 I got the 100 Days to Brave too – Love me some Annie Downs. I’m off to look at that bath mat set. i’m always wanting to switch ours out every few months. Very interested in that devotional. My faith has been all over the place lately so it seems like a good time to dive in. Also – isn’t it funny how kids love playing grocery but as adults we hate going? LOL! The shopping cart is adorable. Such cute finds for Zoe! The bath mats look really good quality and I like all the color options. Sorry to hear about the flood. That is never fun but hope it’s all cleaned up by now! man if you guys lived near me, i have all of that stuff just sitting around collecting dust and i can feel marie kondo judging me for it. I don’t know why but I always love these types of posts and seeing what other people buy/love from Amazon. Checking out that book right now- sounds so good and I’m glad it really helped you! It looks like you’ve found so many fun things for Zoe! I’m going to look into those eggs, though Mason’s only interest is anything he can chew on, lol. I can’t wait to hear what you think of 100 Days to Brave- it sounds like a good one. I’m trying to do one of the Proverbs 31 online bible studies that started this week but I’m already 4 days behind… hoping to catch up this weekend though. I always love when you share your Amazon finds, I purchase so many of them haha. Off to buy those Munchkin bath toys, Bella LOVES the bath. We got her a grocery cart too, funny to see her stumbling pushing it around! 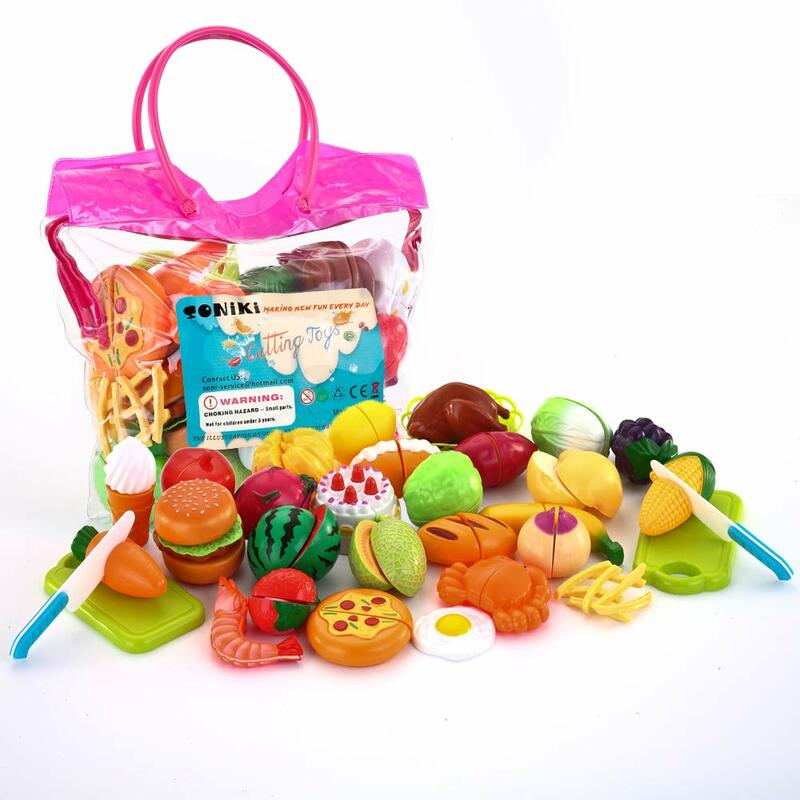 Those cutting food toys- what a genius idea! Looks like you got some fun things! That’s an awesome price for all those bows, and I’m glad they actually stay in. That little shipping cart is so cute – my youngest niece would love that.